This update covers new policies and procedures announced by the U.S. Department of Justice (DOJ) as well as the DOJ’s Sample of Evaluation of Corporate Compliance Programs. The sample compliance evaluation is very well done and easy to use. It is linked at the bottom of this post. As companies strive to meet compliance standards, the DOJ provides guidance in the form of a new memorandum as well as sample topics and analysis used by the DOJ when evaluating corporate compliance programs. The DOJ seems to be laying out different procedures and policies regarding the use of corporate monitorships for deferred prosecutions or non-prosecution agreements (DPAs and NPAs, respectively). Meaning, the DOJ may not use these agreements as much and with less rigor, which includes giving some input to corporations for the selection and interaction of the monitors. Very notably, the DOJ will be training attorneys in various sections to be familiar with the nuances of compliance standards in certain industries. In that regard, private practice attorneys who are regarded as specialists in a certain industries and defend compliance programs and/or the False Claims Act allegations in general, are particularly relieved that the DOJ will be training attorneys for industry specific assignments. Often times when defending an investigation, a private attorney is charged with educating the DOJ attorney for the particular industry at hand. This, coupled with convincing the DOJ attorney that the education is correct, and then arguing against an apparent case or nuances that are applicable, leads to big bills for a client, even if ultimately found the client did nothing improper. 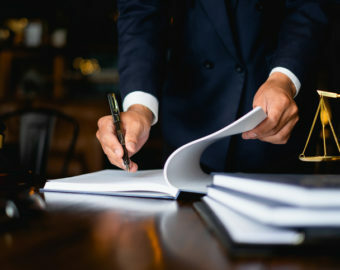 Adding to those large legal bills can be the private practice attorney costs if that attorney also has to learn the industry, having come in as a former prosecutor to handle litigation. In an effort to control legal costs, many companies bring in subject matter specialist attorneys to either handle the matter or provide the lead litigation attorney much needed guidance quickly about the industry. In bringing in subject matter attorneys in quickly, many missteps regarding general and specific industry specific matters may be avoided early on; thereby avoiding having to play clean up later. While most DOJ attorneys are excellent trial attorneys, the DOJ has formally recognized that industry specific training is essential for prosecuting cases; it would be wise to meet that recognition by industry specific recognition of private practice attorneys trained in a particular field when DOJ does come calling.